Bruce Feiler’s New York Times bestsellers Abraham, Walking the Bible, and Where God Was Born brilliantly explored the roots of faith. With America’s Prophet, Feiler looks at Moses and the essential role the prophet has played in our nation’s history and development. Bruce Feiler’s most fascinating and thought-provoking book to date, America’s Prophet delves deeply into how the Exodus story and America’s true “Spiritual Founding Father” have inspired many of the most important figures and defining events in this country’s history—from the Mayflower Pilgrims to the Civil Rights movement—and how Moses can provide meaning in times of national crisis, even today. 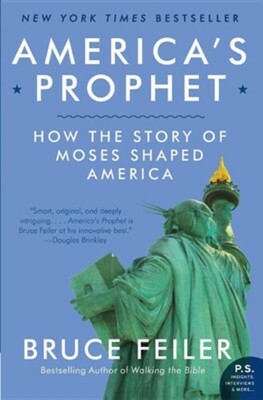 I'm the author/artist and I want to review America's Prophet: How the Story of Moses Shaped America.